The entry must be the original work of the student(s), hereafter referred to as "entrant(s)." 2. This competition is open to entrants currently enrolled in middle or high school in any state in the United States, the District of Columbia, and U.S. territories. Students may be enrolled in public or private schools, or be home-schooled. International students in the equivalent of U.S. grades 6-12 and aged 18 years or younger may also participate. Students in grades 6-8 will be considered "middle school" entrants; grades 9-12 will be considered "high school" entrants. 3. The employees and officers of the National Cable Satellite Corporation and their immediate family members, and the Trustees of the C-SPAN Education Foundation and their immediate family members are not eligible to participate in the contest. 4. The documentary must be between 5 and 6 minutes in length. End credits, if applicable, must begin after the 5-minute mark but are permitted to run longer than the allotted 6-minute time frame. 5. Clips of topically-related C-SPAN programming must be used to enhance the video documentary. You may choose to use multiple C-SPAN clips throughout your documentary, but the use of C-SPAN video need not be excessive to the point that it detracts from your original production. Winning StudentCam documentaries will also thoroughly explore a variety of viewpoints related to the chosen topic, including those that may oppose the filmmakers points of view. As a non-partisan television network, we recommend that students strive to demonstrate a balanced presentation of differing viewpoints. 6. Limited use of copyrighted material will be permitted in the entry so long as it is a lawful or "fair" use, and so long as such use does not overwhelm the contribution of the student(s). Click here for an explanation from American University's Center for Media and Social Impact, describing "Documentary Filmmakers’ Best Practices in Fair Use." 8. Individuals or a team of up to 3 students may create and submit an entry. C-SPAN will recognize a maximum of 3 students per entry. A single entry that is created by more than 3 students will be disqualified from prize contention. A student may submit only one entry, whether they are participating as an individual or in a group. 9. As a competition for middle and high school students, we expect entries to be free of profanity, gratuitous violence, gore and derogatory content. A good way to gauge what is acceptable would be to think of whether the completed documentary is something that teachers and school administration would be comfortable with airing in a school setting. 10. School staff and faculty may provide guidance and critiques but may not participate in conceiving and producing the video. Students are not required to have a teacher advisor in order to participate. If a teacher acts as an advisor, his or her name must be listed on the student's Entry Form in order for them to be eligible for the StudentCam advisor cash prize. 11. Entries must be uploaded and submitted online. Students must complete the online Entry Form between November 2018 - January 20, 2019. 12. Entries must be successfully uploaded by midnight Pacific Standard Time at the end of the day on Sunday, January 20, 2019. 13. Middle School entries will be judged nationally against all of their peers from across the country. High School entries will be judged regionally against their peers in one of 3 Regions (West/Central/East), based on the state of the school that the student(s) attend. 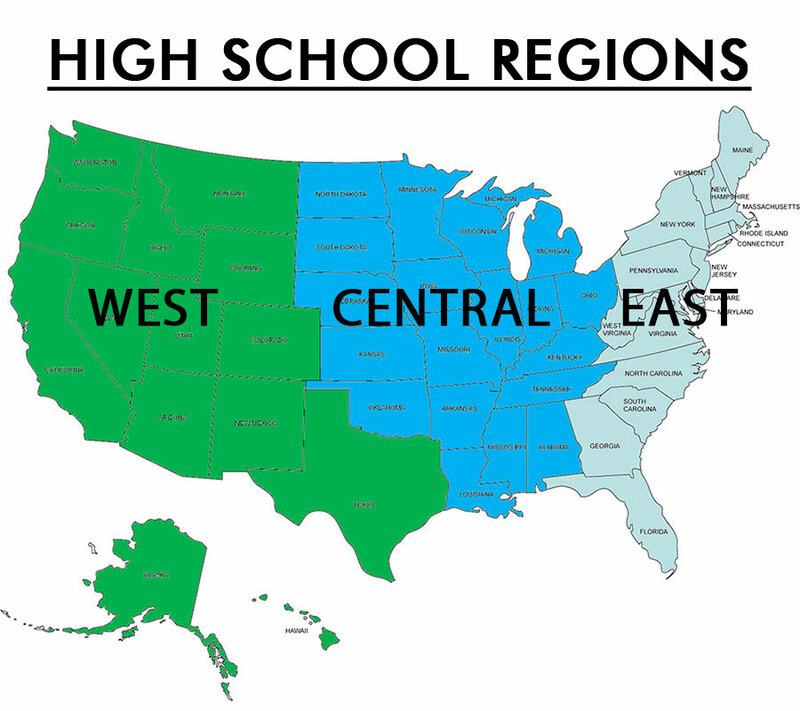 A map of the 3 High School regions can be found here. 14. Winning entries become the shared property of National Cable Satellite Corporation, d/b/a C-SPAN. Winners grant permission to C-SPAN and our cable partners to use their names, likenesses and videos for purposes related to the StudentCam competition and events such as school award ceremonies following the announcement of the winning entries. By submitting an entry, entrants (i) represent that their entries constitute original works of creativity that do not violate the property rights of any other person, and (ii) grant C-SPAN the right to televise, link to their video on studentcam.org, and publish it on various social media platforms if their video is selected as one of the 150 prize winners. Students retain all other rights and are free to publish their video on social media, post to other video platforms, and enter it in other video competitions. 15. Prize recipients will be determined by judges selected by C-SPAN and the judges' decisions will be final. If a team's entry wins, C-SPAN will divide the prize money equally among the team members. Per IRS rules on reporting income, prize recipients who win cash prizes of a higher value than $600 will be asked to provide a social security number and will be responsible for any taxes associated with their prize. If a student who wins a cash prize higher than $600 does not provide their social security number, they will still be recognized as a winner but will not receive their prize money. C-SPAN reserves the right not to award all prizes in all categories; and C-SPAN reserves the right to not televise a winning video. 16. Prize recipients will be announced on C-SPAN and on www.studentcam.org on Wednesday, March 13, 2019. 17. C-SPAN reserves the right to award a secondary prize of "Fan Favorite" to one of the top prize-winning entries (as determined by C-SPAN judges), based on the results of a period of online public voting. 18. For those participating in a group, the student whose name appears as the primary contact on the Entry Form will be considered the team leader, and will be the primary point of contact for the team. Should the team win Grand or First Prize, this student may first be offered the opportunity to appear on C-SPAN and/or flown to C-SPAN's offices in Washington, DC to represent the group.